210 Old Grassy Hill Rd. LaToya S. Fleming, 39, of West Haven, died November 22, 2018. She was born in Brooklyn, NY on January 16, 1979, a daughter of the late Heyward Fleming and Gloria F. Fleming. 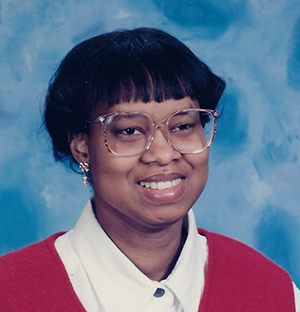 LaToya was a member of Kingdom Hall of Jehovah’s Witnesses. She is survived by her adoptive parents, Joseph and Lila Bash; her twin sister, Lashanna Fleming and sister, Deidra Tyson (Gary); a brother, Joseph A. Bash (Tamela); and other relatives and friends. A memorial service will be held Saturday, December 8, 2018, at 2:00 p.m. at Kingdom Hall of Jehovah’s Witnesses, 210 Old Grassy Hill Rd., Orange. I am sadden to read of the passing of my spiritual sister, LaToya. She will be missed indeed. It is comforting to know that she is sleeping peacefully in death and is awaiting the time when Acts 24:15 will be fulfilled. This time will be fulfilled by means of God’s Kingdom in which we pray for in the Lord’s Prayer. May Jehovah comfort and sustain her family at this delicate time. Our deepest sympathy to you at this time of sorrow may you find comfort in knowing that your dear one is safe in the memory of God, who will remember every detail about her and may you also find joy in those many found memories 0f Latoya. Our thoughts and prayers are with you. My deepest condolences to the family on the loss of your Angel. We are saddened to hear of the lost of our spiritual sister LaToya, and we are very sorry for your loss. We all look forward to the future resurrection promised by our loving father, Jehovah. He also promises that he will help you during these difficult times. (isaiah 41 : 10). With Christian love. To Bro Joseph Bash, Lila and family………Today and always, may loving memories of LaToya bring you peace, comfort, and strength.